Last Saturday in the early hours we were treated to one of the most spectacular lightning displays I've ever had the good fortune to witness. It all kicked off just before four with a huge crash of thunder and heavy rain which must have awoken all but the heaviest of sleepers. Bleary eyed I crawled out from under the duvet to find the curtains being lit almost continuously by bright flashes of light. This was unusual to say the least and definitely warranted further investigation. 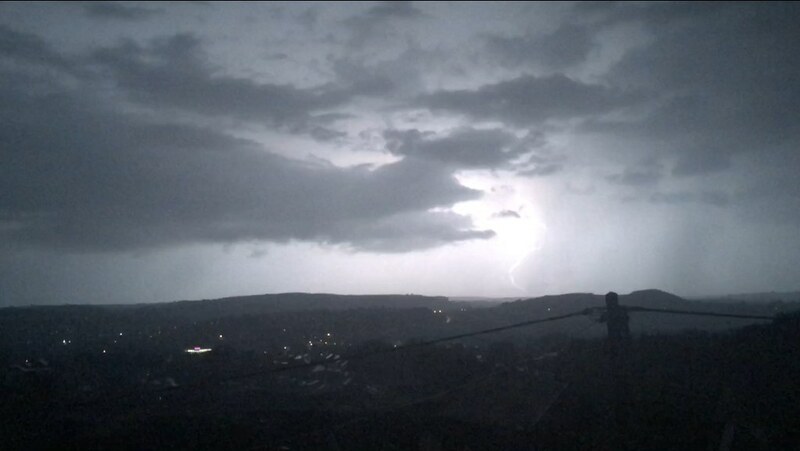 Drawing back the curtains I bore witness for the next half an hour to a lightning display of the most epic proportions. Being in an elevated position here I could see for miles and from front to back and left to right the entire sky was a riot of flashes as lightning bolts ripped through the clouds, only occasionally forking to ground in a jagged spike of pure electricity. I genuinely didn't know where to look next as the sky felt like it was being torn apart from all directions, flashes tumbling over one another in a display of pure natural might. 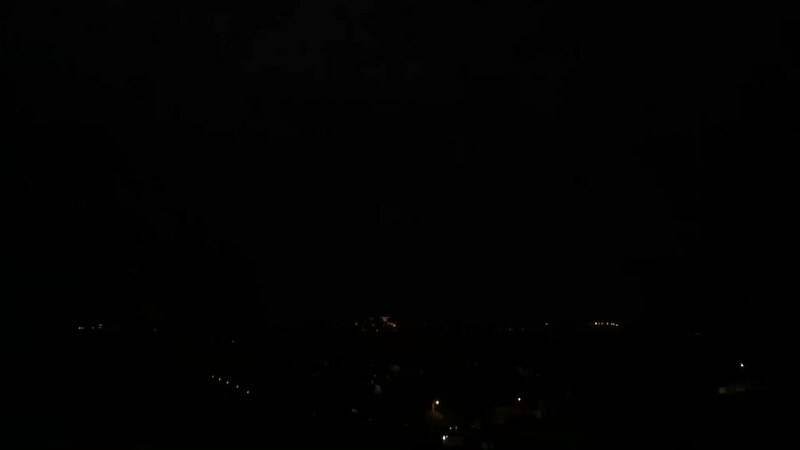 It's only by good fortune that I had sufficient wits about me to capture a short video on my phone and in the process caught my one and only photo to date of a lightning bolt striking ground. Not bad for being half asleep. When the storm finally rolled out the first light of dawn was just starting to brighten the horizon. Standing there I was left with a profound sense of wonderment. Mother nature at her most furious and yet also her most beautiful.